Does your baby have sensitive skin and get diaper rashes often? Do you use cheap diapers for your baby? I did too, until I realized this. This post isn’t like my ‘typical’ kind of one. I tend to focus more on my journey through mental health and being diagnosed with PTSD. But, I figured I should just start sharing more of my real life through motherhood and other aspects of life on my blog, rather than just Instagram. After all, I do get WAY more views on my website than anywhere else. Plus, I want to start sharing more helpful things on here anyways. So, I want to start sharing some things that has helped my third baby and also my husband and I. Right now I’m gonna focus on my third baby since ya know, he’s a baby and takes up a huge portion of my days anymore. (Wild child) Moms of three, can I get an amen?! Anyways, what’s helped my older two have not helped him. He’s been so different in so many ways. If you’re baby is like mine you may notice that no matter how quickly you change their diaper, when they go pee or poop they may want their diaper changed or act like it bothers them, like right away. Let’s get one thing straight, I don’t have time for cloth diapers. I struggle to keep up with laundry for 5 of us as it is. And not only that.. TMI.. but, I honestly hate wiping poop with a wipe, let alone cleaning it out of material. Yuck. But I praise you mamas that can do it all. I didn’t even think about it right away, because our older two kids didn’t have sensitive skin. And it never really matter what diaper we put on them, I never noticed an increase or decrease in diaper rashes in the diaper area portion of their skin. Third babies break the seal in a lot of homes. There is always something that’s different or throws you off after having three kids because truly, every single kid is so different. That’s when I really realized that cheap diapers were hurting my sensitive sons bum-bum. This time of year (Winter months) being in Montana and owning a spring and summer focused business, it doesn’t do as well financially as it does in the other months. So buying cheap diapers is something we often do. Our little Ethan started getting a diaper rash about 4 months ago that has consistently been there, no matter what we’ve done. Besides not buying his diapers at Costco anymore, we were doing everything the same as before when he wasn’t having a reaction. We use the ol’ corn starch trick for all of our kids and it’s always worked with any diaper rash. But this time, nope. His rash was getting just bright right at first and we ended up just bathing him every time we changed him, thinking it was the wipes maybe. Eventually the redness turned into little bumps that he was itching like crazy. You could tell they were burning him because his skin was so hot, but yet it itched too. So wiping him or putting him in water didn’t help. He was pretty much miserable until I figured out it was the diapers. So this last month we were able to make a trip to Costco and had purchased the Kirkland Diapers and literally one night of him wearing one, his rash completely changed and is now about cleared up. Yay for no more cheap diapers and no more sensitive baby butts! So, I’m not sure if it’s the scent or the chemical used inside of the gel that holds the moisture in the diaper, or what it is. But my babies skin does not like cheap diapers. Not to put these brands down because they worked great with our other two, but Luvs and Huggies, and the store brands of diapers–do not react well with my sensitive baby skin. Does your baby have sensitive skin too? 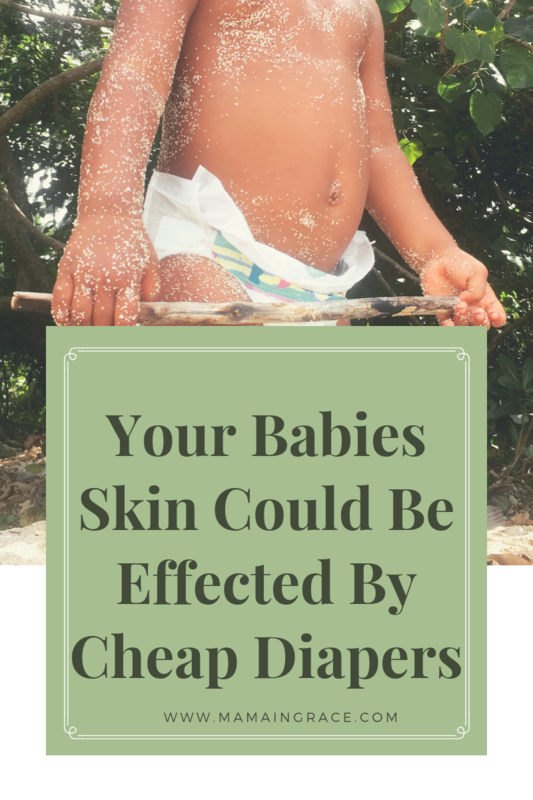 Did cheap diapers also effect your babies skin? Bought these before Hurricane Irma hit. We weren’t sure if we’d have water after the storm. They certainly helped us refresh during the power outage! We kept baby fresh!